At Hardy Quality Air, INC, we are committed to making your home environment comfortable to your particular needs. Therefore, we will not just sell you a furnace to sell you a furnace. 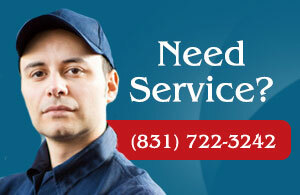 Nor will we provide you with any old air conditioning system or push unnecessary repairs on you. We believe in always doing things the right way and earning your long-term trust. Though we work on all makes and models we are proud to say we are an authorized Carrier dealer. We believe in their products and stand behind our work. Back in 1902, Willis Carrier invented the air conditioner and his company is considered one of the premiere manufacturers of HVAC equipment in the country. In 1994, Carrier was one of the first HVAC companies to phase out the use of refrigerants that were eating away the ozone layer. It has taken other steps to reduce its operations’ impact on the environment and make its products more environmentally friendly. When we send out our technicians to your home they are trained to ask questions; is your system working like you need it to, are there are hot and cold spots, do you have any indoor air quality concerns? We will then provide a customized solution that is just right for you and your budget..
All of our technicians are highly trained and enjoy their profession. They arrive ready to answer questions and are prepared to solve any problems you may have. When you choose our company to help with your home systems, you can be confident you are receiving the best, most honest service from a locally owned and operated family business. If you are looking to build that new dream home or are remodeling, we also provide consulting and system design/build. We will help you find an energy efficient system that works with your budget and keeps your utility bills down. Energy Efficiency Energy efficiency is a crucial element of any home comfort technology. We therefore make a point of knowing the latest and most environmentally friendly installation and servicing methods. We also use state-of-the-art equipment. Have you ever wondered about the quality of air in your home? Did you know that mold, mildew bacteria, pollen and dust are present in almost every home? These allergens can negatively impact the health and comfort of your family. If you are concerned about the quality of air in your home, don’t worry, there are many options such as ventilators, UV lamps, humidifiers and air purifiers that can be installed to significantly remove many of these allergens. If you’ve invested in fine wine, you know the importance of storing it in optimal conditions. There is a full line of wine cellar refrigeration and humidification systems. We can help you protect your wine collection. Hardy Quality Air Inc. is a fully licensed and insured Residential HVAC company, and is also proud to be a Carrier™ Dealer. Our team of Home Comfort Specialists is one of the most diverse group of HVAC professionals in the Bay Area providing “best in class” service for you and your family!